Taste of Abu Dhabi 2016 is all set to hit it big this year by introducing special culinary activities in its third season. One of the most popular Abu Dhabi food festivals in the UAE, it is a most-awaited culinary extravaganza among the upcoming Abu Dhabi events in November 2016. Next to Dubai Food Festival in terms of popularity, this three-day outdoor event will continue from November 10 to 12 this year. 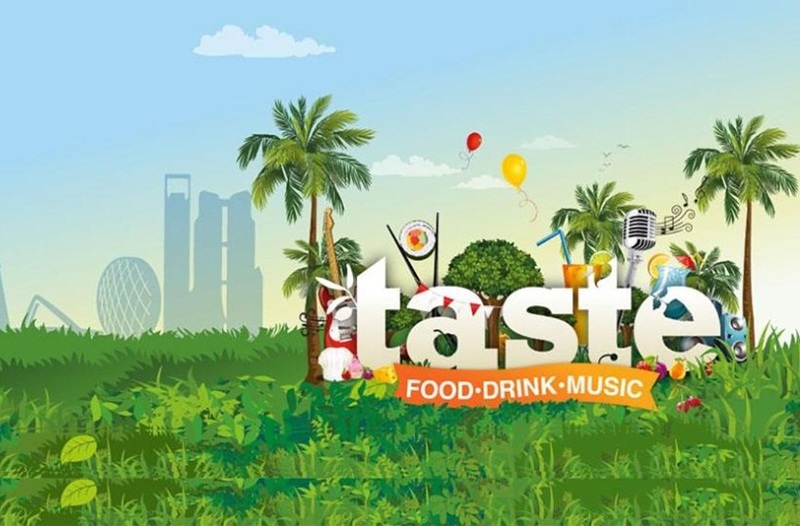 Expected to be bigger, tastier and more exciting than its previous two versions, Taste of Abu Dhabi will be held at Zayed Sports City instead of du Arena. The capital city’s food festival is full of events and activities for both participants and visitors, including foodies, chefs, restaurants, culinary experts and cookbook writers. Evidently, November 10, 11 and 12 should be marked on the calendar of Abu Dhabi events 2016. Taste of Abu Dhabi 2016 is the best opportunity for foodies to enjoy delicacies from some of the best fine-dining restaurants in the city of Abu Dhabi and catch up with celebrity chefs as well as popular cookbook writers. An integral part of the festival schedule, Chef’s Theatre comes with surprising cookery demonstrations, culinary workshops and culinary challenges for participants as well as attendees. Celebrity chefs hold live demonstrations and Q & A sessions. The festival authority will soon announce the line-up of chefs. Cookery School is another interesting section of the food fest among the upcoming Abu Dhabi events in November 2016. It features master classes with hands-on cookery lessons by renowned chefs who share exclusive culinary tips and tricks with participants. It is the best opportunity for culinary aspirants to learn chef-special cooking techniques. You will go back home with a casket of kitchen secrets for your family and friends. The Taste of Abu Dhabi 2016 food festival is a complete family entertainer. The event venue comprises Kids Zone and Family Zone. The Kids Zone is full of creative edutainment for young visitors while the Family Zone is an alcohol-free tent with cozy seating. Kids can enjoy themselves over fairground rides and several exciting activities while adult visitors can sit back and spend some quality time over fun. This food festival is as popular for entertainment as for food. The event venue houses an entertainment stage with a line-up of bands, DJs and musicians. The entertainment stage also features an open-air theatre which screens a number of popular films and documentaries. Among the Abu Dhabi events 2016, the Taste of Abu Dhabi at Zayed Sports City will host some of the best street artists from across the UAE. The participating street artists will bring the house down by means of mime, juggle, dance and unicycle. No other events in the 2016 calendar of Abu Dhabi seem to be as exciting as Taste of Abu Dhabi 2016 promises to be. The festival authority will unveil more surprising programs in the coming days. Travel cheaper to the UAE for any event throughout the year. iEagle Travel books the best flights with discount fares to Abu Dhabi, Dubai and other Middle East cities.